Posted: Mon 01 May 2017, 14:10 Post subject: You have heard of Kodibuntu -- Here is Kodipup. Post updated July 2, 2017. Kodipup is derived from xenialpup64. Now you can watch your shows in puppy linux! Support for the Vista MCE VRC-1100 remote. Very good & inexpensive remote with mouse controls. Fixed up the keytable so all VRC-1100 remote buttons work. Switched the volume and channels buttons around. keep pressing the volume buttons. On the desktop, pressing the green start button, brings up kodi. In kodi, pressing the green start button, brings up video addons. Top Left button takes you to the home page. Yellow button brings up favorites. 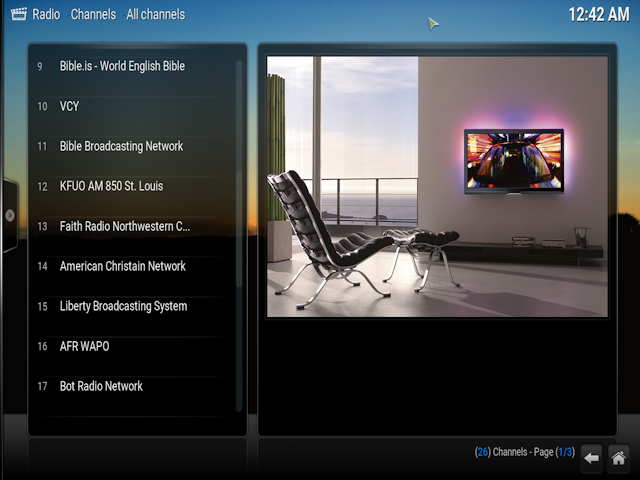 Blue button brings up your Radio Channels. Green button brings up your music library. Power button brings up exit. Now you can use the middle mouse button as a volume control. Added support for direct pasting, using ctrl-v. Fixed the addon update problem. 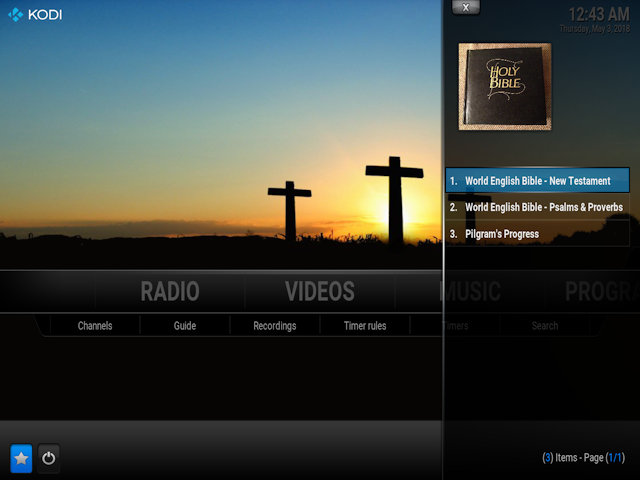 Added audio New Testament World English Bible. Added audio version of Pilgrams Progress. 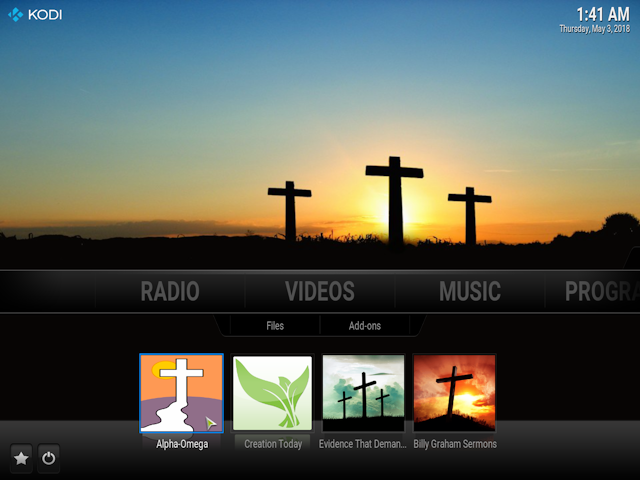 Added two video addons: Evidence that demands a verdict & Billy Graham Sermons. 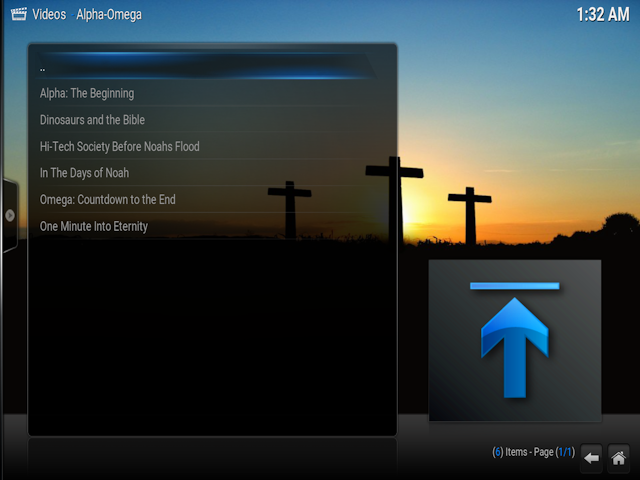 Added the Xiphos bible program to it. On first boot up, kodipup sets the time zone & time automatically. Fixed pClock Alarm so it can play a mp3 or ogg in a loop forever. On bootup, kodipup waits for an interrnet connection, then brings up kodi. 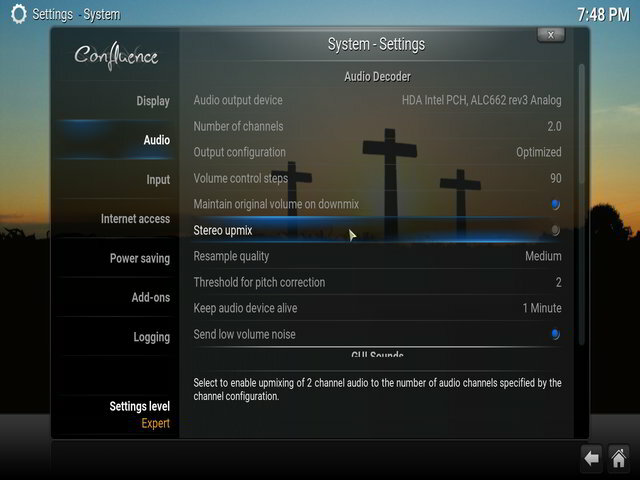 Inside kodi, you can choose your audio card & make audio adustments. This was a nice surprise to see that somebody has finally done a kodi specific derivative. Downloaded and looking forward to trying it out in the next couple of days. Not having the skills to write the code I have been waiting for this or a update to the current 16 version, I downloaded this and burned it to a USB after finding the save file, it bombs out on me. Has anyone else had this experience? I have never used kodi before. I understand that it doesn't work with a window manager (such as jwm)? Could it be run in a window in jwm? -- or at least be able to switch between the two? I was wondering about doing a build of the packages compiled in OpenEmbedded, with kodi as the media player. But it would have to play nice with jwm and normal windowed apps. Anyway, I am looking forward to playing with your Kodipup! Been doing some more research on kodi. Kodi seems to have ssl problems in tahrpup64 6.05. Using zenailpup, does not give me as many errors in the log. So I think I will redo kodipup using zenialpup64 as my base. It will run in a window. I accidentally discovered it. Hit "\" to switch between windowed and full screen modes. EDIT: Lassar, this is really cool. Interesting. I tried it but it kept hanging. Ran as a livecd inside a virtualbox session. Kodi windowed ... playing a sneekylinux youtube ... sound and quality good. On a UK keyboard it seems to be either the \ (immediately left of 'z') or # (immediately left and to the bottom of the ENTER) keys that window/full-screen toggles kodi ... depending upon which version of kodi you're running. Quicker and perhaps safer to just drop out of kodi and launch programs more directly ... but in some cases I guess being able to launch say the likes of skype from within kodi might be a better/easier choice ... perhaps a limited input device for instance (pointer and select only remote control). 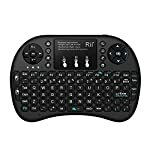 as a second remote controller (in addition to the one that comes with the above) that has a nice touchpad and full keyboard to navigate (mouse) and type with from the armchair. That's operational on the main TV (large screen, but not a smart TV). Mostly I use a tower PC with a 32 inch TV as the monitor. The two kids each have their own desktop PC's as well in the living room (along with tons of other stuff such as Playstations ...etc in their bedrooms). ... I have never used kodi before. I understand that it doesn't work with a window manager (such as jwm)? ...Could it be run in a window in jwm? -- or at least be able to switch between the two? ... Anyway, I am looking forward to playing with your Kodipup! Kodi plays nice with window managers. Yes you can do alt tab. 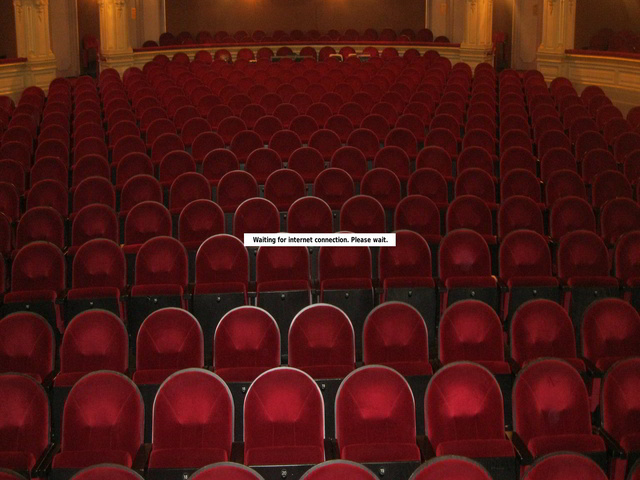 It will also run without a window manager. A little tricky to get every thing working just right.